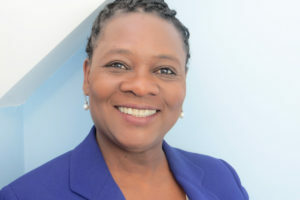 Dorothy was one of three prominent figures in the UK social enterprise landscape to be recognised in the New Year Honours List and was mentioned in the Government’s press release for her services in supporting enterprise growth. Dorothy has worked tirelessly for over 30 years to encourage co-operatively run businesses to establish and grow and has directly supported over 200 enterprises to start, develop and realise their potential. Some of the businesses that Dorothy supported to set up have now traded for 30 years and many are award winners in their field. The MBE was announced in 2016 and crowned an outstanding year for Dorothy in which she was included on both the Birthday and New Year Honours lists. In addition to receiving an MBE in the New Year’s Honours List, Dorothy was recognised in the Queen’s Birthday Honours List in April 2016 when she received the Queen’s Award for Enterprise Promotion Lifetime Achievement Award. The Lifetime Achievement Award is an OBE equivalent honour and is only given to one person annually; Dorothy is the 12th person in the UK to hold this accolade. That was a busy year for Dorothy in that she also became a Companion of the Chartered Management Institute (CMI), which is the most senior level of membership and is awarded by invitation only. The invitation was in recognition of the contributions that Dorothy has made to the field of management and leadership within the co-operative and social enterprise sector and the role that she will play within the CMI to help shape the future of the management profession. Dorothy commented “I love my work and consider it not just a job but a vocation. I am passionate about co-operatives and social businesses and I am delighted to receive recognition through being granted an MBE, the Queen’s Award and an invitation to Companionship of the CMI. However I have not achieved this in isolation and I would like to thank the inspiring people at CASE, past and present, whom I have worked alongside to promote the principles and practices of social business for many years. I would also like to thank the dedicated, hardworking and inspirational people who access CASE to explore and fulfil their dreams of running community focused businesses. I consider myself lucky to work with people who seek to change society and it’s a pleasure to be involved with so many committed social entrepreneurs.